Amanda does these sorts of posts from time-to-time, and I figured it was time for me. I've acquired a lot of new sheers, jellies, and glitters lately. I am having a great time slapping things together and seeing what works. I don't put near as much effort as Amanda does when it comes to layer...I don't actually put much thought into the combos I choose. My method is more "Oooh shiny! Oooh lets put this shiny with that shiny!" So here is some photo spam! Enjoy! this glitter likes to pit! stop that! 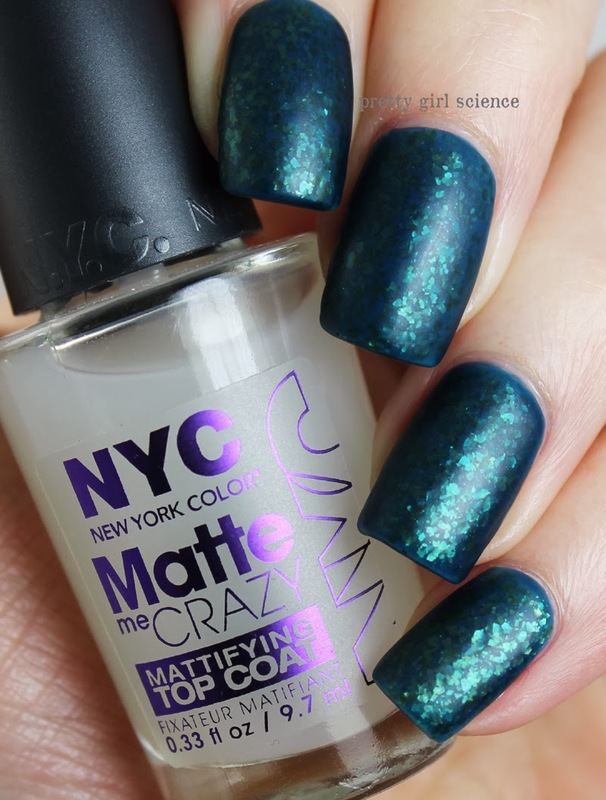 ...and then I added the NYC matte coat. That is all I have for now. I've been crazy busy (I started a photography class and my eldest started softball!) so there hasn't been much time for goofy one-off manicures these days. But I expect I will be doing more of these as the warmer weather (aka kids go to the beach) sets in. I am loving number 2! yeah, that one was one of my favorites. I wish it were sunny here, so I could show how that one just dazzled in the sunlight! You kinda do. it completely changed my opinion on jellies. plus, there is a sale this weekend.